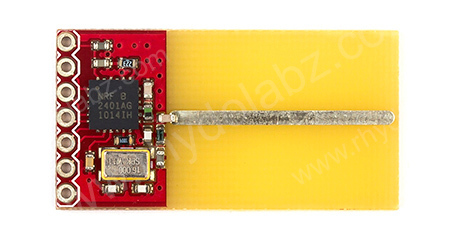 Description: Miniature RF (MiRF) 2.4GHz transceiver modules with built in antenna designed around the Nordic Semiconductor nRF2401A with high sensitivity and good range. 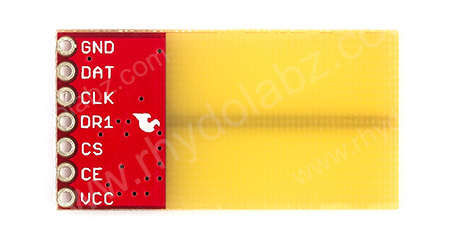 These units are a SparkFun exclusive; small in stature, big on performance, all wrapped up in a user friendly package. Units come with an empty 0.1" spaced footprint ready for a straight header, right angle header (recommended), or your own wires/umbilical cable. Note: These are sold as single units. We recommend ordering two for a complete link.